Managed by the Center for Advanced Spatial Technologies and supported by a $625,000 grant from the National Science Foundation and the University of Arkansas, the MicroCT Imaging Consortium for Research and Outreach is committed to sharing its work with the public. Educators and students can submit samples for scanning at no charge. The Geospatial Platform for Andean Culture, History and Archaeology will collate and connect satellite imagery and photos from historic aerial surveys to build a detailed inventory of archaeological remains in the Andes. The Fay Jones School of Architecture and Design has been working with the Tesseract Center for Immersive Environments and Game Design and the Center for Advanced Spatial Technologies to create a 3D model of the house on Hillcrest Avenue in Fayetteville. Researchers from University of California, Santa Cruz and the University of Arkansas examine the UNESCO World Heritage site of San Souci in Haiti using technology that facilitates “non-invasive” archaeology — that is, no excavating. It’s called ground penetrating radar, or GPR. University of Arkansas researchers are using laser imaging to create a highly accurate, three-dimensional, digital map of public trails inside Carlsbad Cavern, the namesake cave of Carlsbad Caverns National Park, New Mexico. 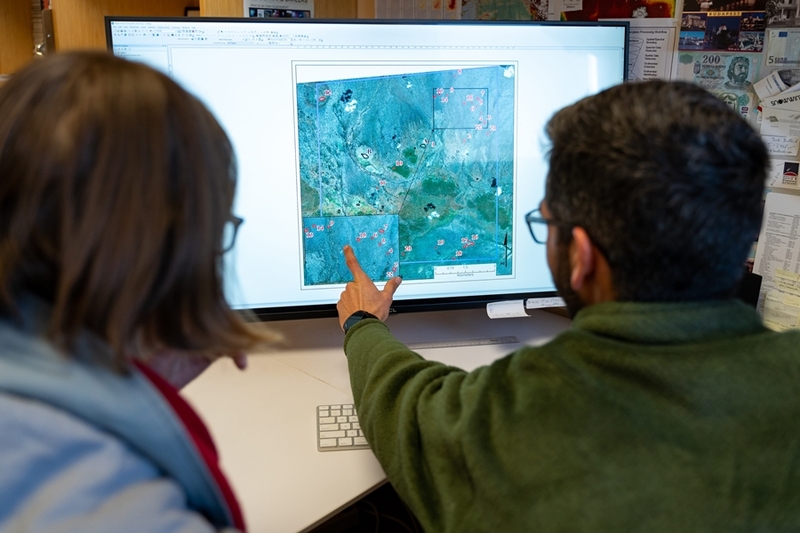 The NSF has renewed funding for the SPARC program, an initiative through the University of Arkansas, Dartmouth College and the University of Glasgow that acts as a national hub for geospatial research in archaeology. Collaborative, grant-supported research at CAST is focused on the acquisition, aggregation, analysis, and application of geospatial data. Researchers with multidisciplinary expertise in the measurement and analysis of spatially referenced, multi-scalar data and processes. Courses and certificates in geospatial theory and method for undergraduate and graduate students, online and on campus. CAST facilities are available for student and faculty researchers, meetings, workshops, and classroom instruction. From students to community groups and more, CAST responds to hundreds of requests for assistance or demonstrations each year. Research instruments are available to faculty and students for remote sensing, GPS, geophysics, high density survey and photogrammetry.